Being ready for combat requires being strapped in the right gear from head to toe. You can't leave any inch of your body unprepared. Unless you have precognition abilities like some of those crazy Jedi. And even if you do, it doesn't hurt to be extra prepared. These Adult Star Wars Ep 7 Captain Phasma Gloves make sure your hands are ready to hold that blaster you've been dying to shoot. 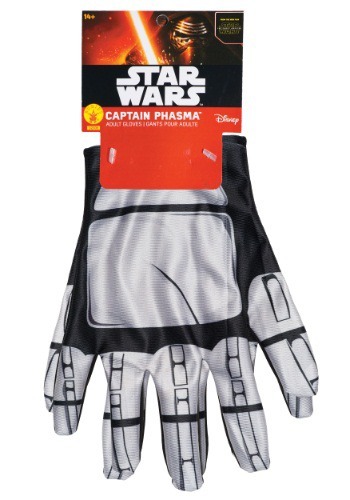 These grey, and black gloves also makes sure you look completely awesome while you do it. Which is an underestimated advantage when jumping into the fray! Who knows you might just distract the enemy with your fabulous fashion sense when you do. Just, you know, don't forget to pick up a blaster on your way to the check out.